Sunday, April 22, 2018. 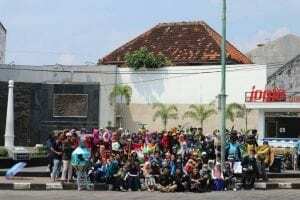 The Green Coalition (Faculty of Biology, Faculty of Mathematics and Natural Sciences, Faculty of Forestry, Faculty of Agriculture, Instiper Jogja, IKAHIMBI) commemorates it by doing long march. The theme of the Green Coalition for the 2018 Earth Day commemoration is trash, because the problem of waste is still a scourge for the environment even until now. The Student Family of the Faculty of Biology is enthusiastic about the event. During the long march, students of the faculty of biology invite the community to dispose of the garbage in its place and distribute the tote bag to the surrounding community. 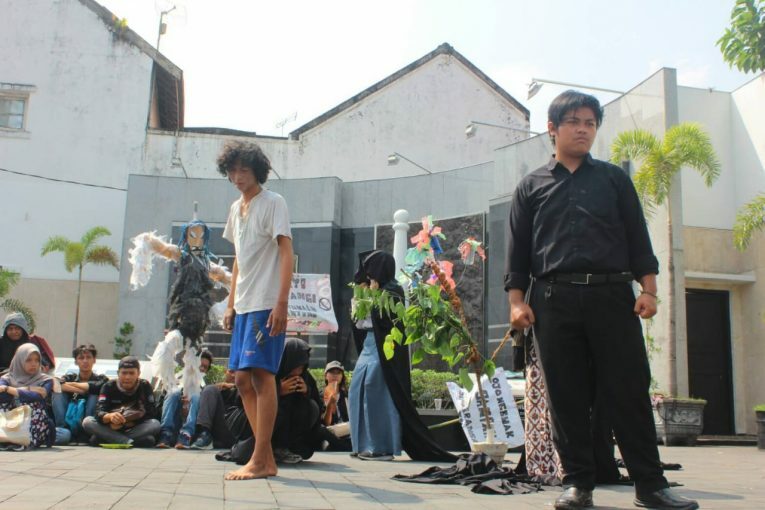 Arriving at Tugu, the event is a speech from faculty representatives, signing petitions, voicing and inviting people to care about the environment by not littering the place, as well as entertainment from representatives of each faculty joined in the Green Coalition. 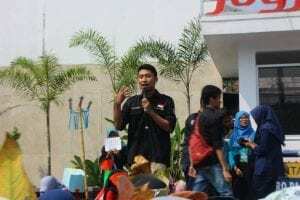 From the faculty of biology, the speech was represented by the chairman of BEM, Lalu Gunawan Fadliansyah (2015), the entertainment was a reading of a poem by Nafi’atul Ummah (2017). The Earth Day event was closed with mannequin challenges.